This is a great cartoon from Rob Cottingham. Click on it to read his commentary. His main point? We can worry about what the Internet, social media and smartphones are doing to our brains, but there’s no turning back, so learn to live with them and get over it! 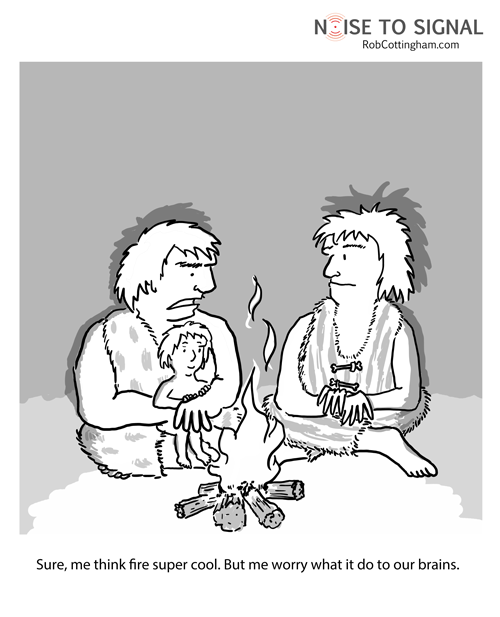 This entry was posted in Humor and tagged caveman, fire, Internet, technology. Bookmark the permalink.